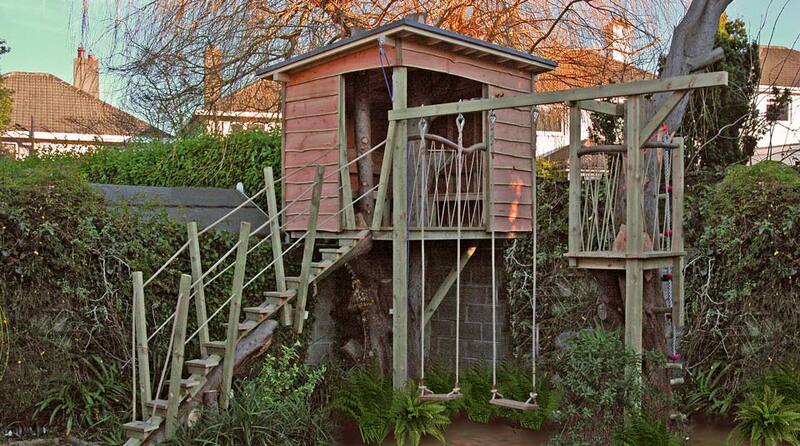 This Dublin treehouse/playden is built around two tree stumps and makes the most of a tight space. 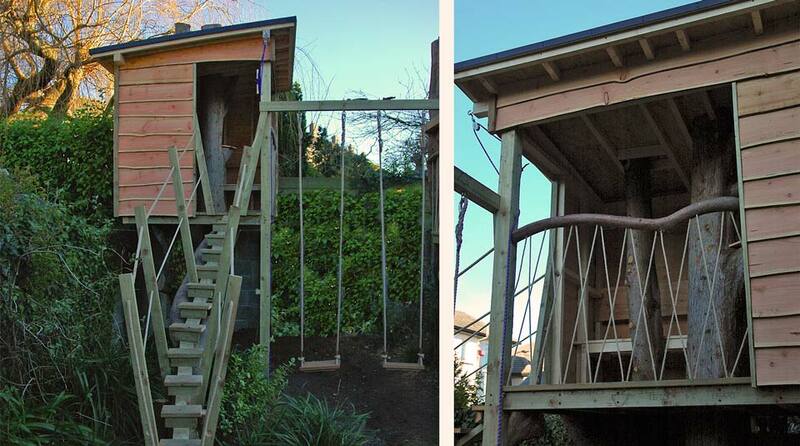 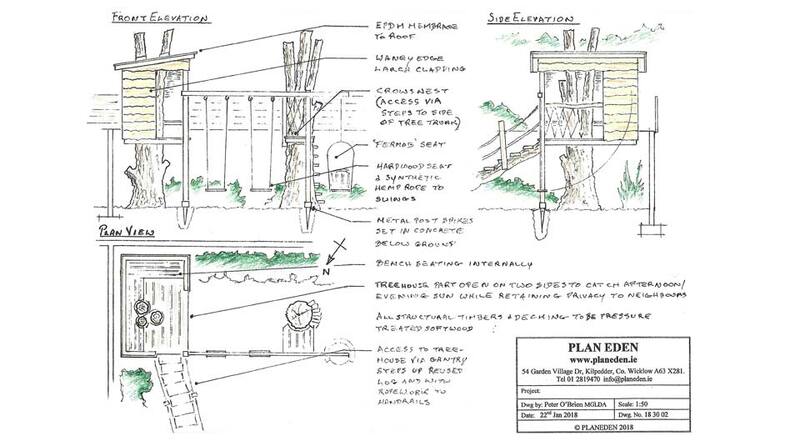 Including swings and a crow’s nest, we used found timbers, hemp ropework and waney edged larch cladding to give character to the finished design. 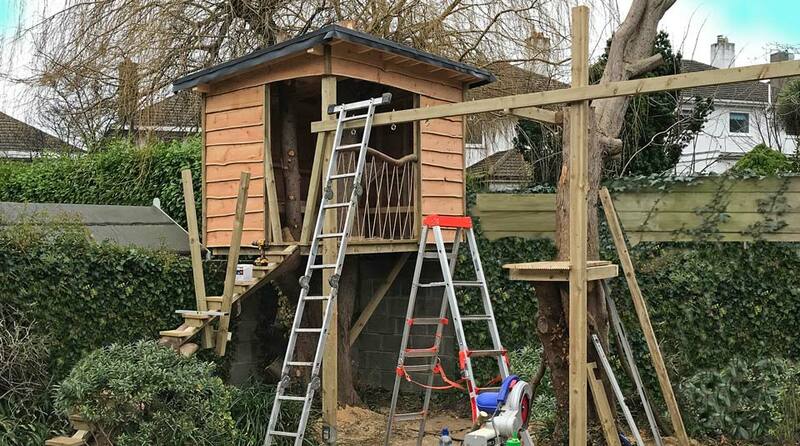 The roof, finished with an EPDM membrane, will protect the structure for many years.